The Pogue Traders are the UK's best Pogues tribute band. 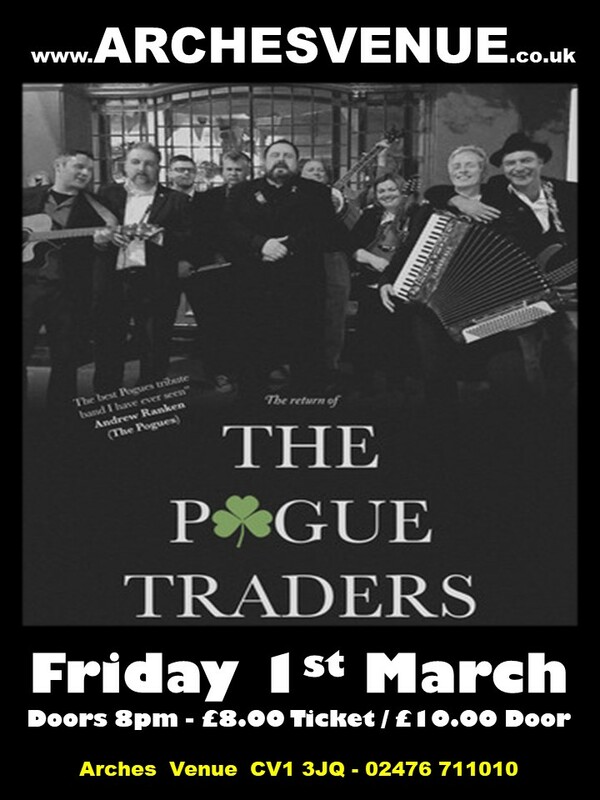 The Pogue Traders are a bunch of experienced musicians from across the musical spectrum who came together back in 2006 to play tribute to The Pogues with the same combination of musicianship and energy. At our gigs, audience participation is inevitable - foot-tapping, dancing, singing along - and maybe some drinking along the way! A great time is had by all.